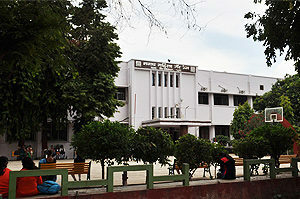 Department of Sociology was established in 1963. Professor Dr Renu Ranjan is the present Head of the department. She took over charge of Headship in 1995. It serves maximum number of students in the college. 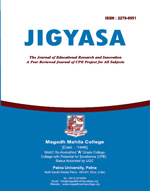 It has a continued tradition of scholarship and research since its inception. Two teachers of the department became the Principal of the college. Three teachers were elevated as the heads of PG Department of Sociology, Patna University during different periods. Prof. Phullara Sinha was the founder Head of the Department. She later elevated to the University Department as the Head. She came back to college as the Principal in 1999. Prof. Archana Sinha, became the second Head of the Dept. in 1965 and subsequently elevated to the post of Principal of the College in 1995. In 1998 she joined the P G department of Patna University as the Head of the PG Dept. of Sociology. Dr Dharmshila Prasad of the department has been selected as the Head of the PG Dept. of Sociology, Patna University and will be joining soon. Department has started two post graduate diploma courses e.g. one year Post Graduate Diploma in Women & Child Welfare (PGDWCW) and Post Graduate Diploma in Population Education (PGDPE) in 2002. The three years Bachelor in Social Work (BSW) was started in 2007. The Postgraduate teaching started in the Department in 1984.